The company has existed since 1997. The mastery of our farming and the daily and meticulous monitoring of our fishes allow us to produce, all year long, one of the best French caviar. 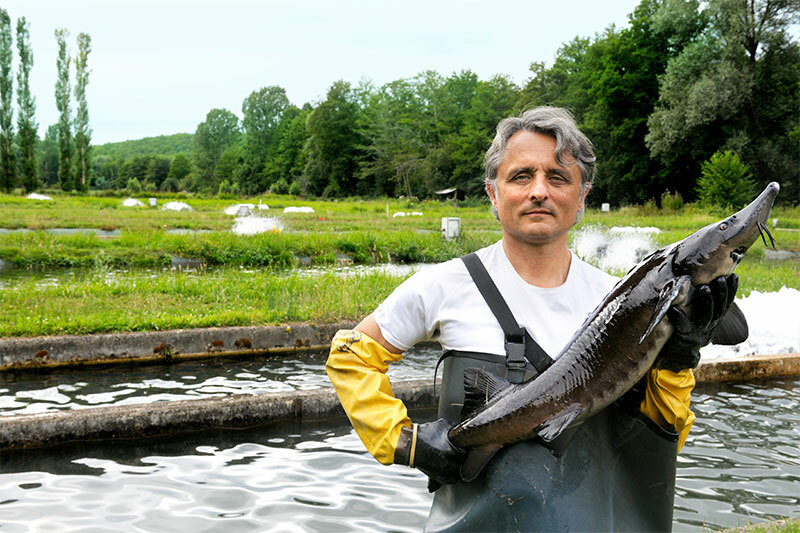 Caviar Perle Noire, a team of aquatic farming (fish-farming) enthusiasts and specialists gathered around a French excellence caviar production project. The farming takes place in our Périgord farms. Our engineers and technicians professionalism, united with a high quality natural environment allows our livestock to grow in optimal conditions. Our fish, Acipenser baerii, is a sturgeon from Siberia lakes, introduced in France around thirty years ago. This one has the particularity to grow and breed exclusively in freshwater. In our environment, this fish reaches maturity after 8 to 10 years. Only then the precious eggs are collected. They represent between 10% and 12% of the fish mass and are extracted according to a very rigorous process. The manufacturing is a delicate process, which requires several operations. 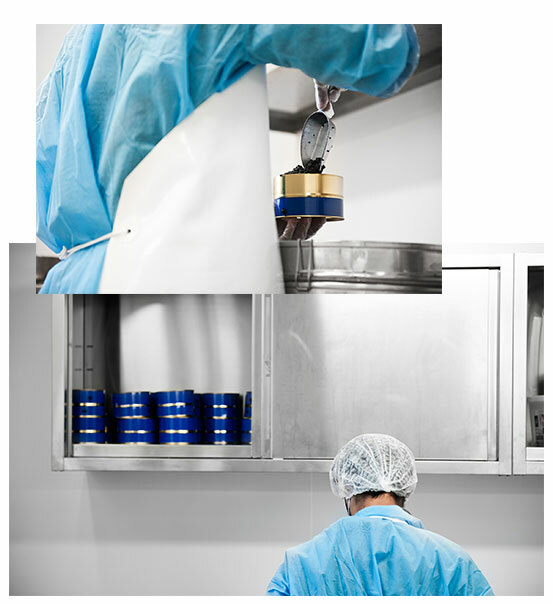 Those are achieved in our certified workshop, which meets European hygiene and traceability standards. The eggs are extracted from the sturgeon female belly at a very specific stage of maturity Then, they are sorted - according to their size, their colour and their firmness - sieved, washed, drained, slightly salted and lastly packaged in a traditional refined canned-aging « Malossol » of 1 or 1.8 kg. These tins are preserved in cold room at a temperature of -2°C during a period of up to one year, according to the intensity of the desired taste. Each of them will be turned over and controlled by Anthony, « master ripener » in order to ensure a perfect maturation. 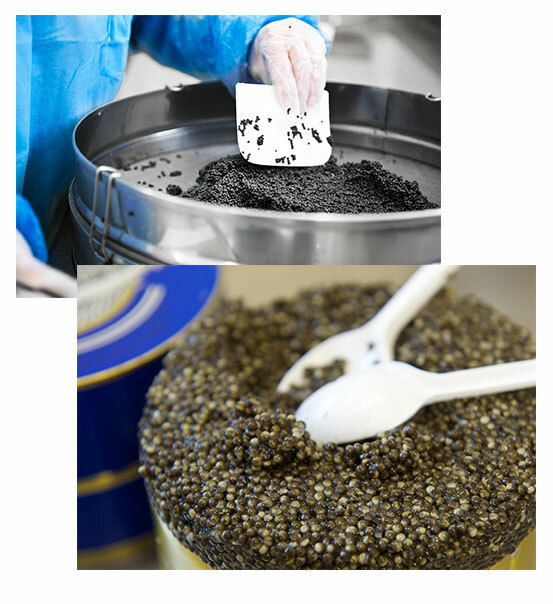 Caviar will be then conditioned in little vacuum-packed tins of different grammages.